The integrated Vegetative Management Program in the Municipal District of Provost uses the combination of various land management components to reduce the presence and impact of invasive species on the environment. These land management procedures include inspections, roadside spraying, and roadside mowing. Weed control work is necessary, even on small infestations, in order to prevent them from spreading and becoming more difficult to control. We encourage you to review the weed fact sheets at www.abinvasives.ca, and consider one or more of the control options provided. Fact sheets provide more information about individual invasive species. They contain information on impacts, origin, habitat, regulatory status, identification, prevention and control options. Those listed as “Prohibited Noxious” and “Noxious” are regulated under the Alberta Weed Control Act. “Prohibited Noxious” weeds must be destroyed and “Noxious” weeds must be controlled. 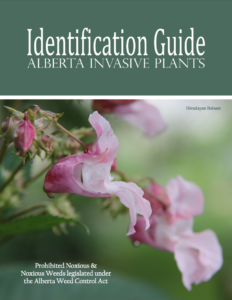 In 2010, several plants were added to the noxious and prohibited noxious weeds list under the Alberta Weed Control Act, including a number of invasive ornamentals. Many of the new species can be found growing in flower beds or gardens. AB Weed Spotter – Regulated Weeds in Alberta & look-alikes, Report a weed. These weeds pose a serious threat to agriculture and the environment and as such, must be eradicated. These weeds are capable of very rapid spread, are extremely competitive and can quickly destroy native vegetation and crops. Prohibited Noxious weeds must be destroyed by eradicating all growing parts of the plant or to render the reproductive mechanisms unviable. These weeds can be destroyed by hand pulling, cultivation or mowing followed by an application of an appropriate herbicide. Dispose of prohibited noxious and noxious weeds in a manner that will prevent spread of the seeds. These weeds are highly invasive, can pose a significant threat to agriculture and the environment. They can quickly out complete native vegetation and crops. Many noxious weeds are also toxic to domestic animals and wildlife. 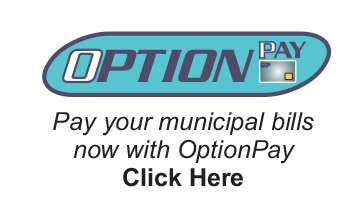 Noxious weeds must be controlled. Noxious weeds must be controlled to prevent the spread of seeds and prevent the plants from being established. They can be controlled by hand pulling, mowing, cultivating or spraying them with an appropriate herbicide. If you have Diffuse Knapweed or Scentless Chamomile that you would like to dispose of, you can bring it to the M.D. Shop by the Airport to be incinerated. Please call before you drop it off to make sure someone is at the building to assist you.